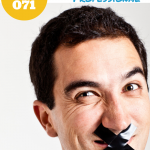 TSE 069: Just Say Noooooo! Home » TSE Podcast Post Page » TSE 069: Just Say Noooooo! 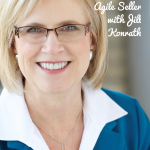 As a new seller, one of the biggest challenges that I faced was the fear of saying “no” to prospects or clients. Why? I thought if I said no to any questions that they ask, I would disappoint them and eventually turn them away. Have you ever felt the same way? Well, in this episode I share my experience with this challenge, how I overcame it and why you should say “no” even more. Saying “no” will make you different from every other seller who are a “yes men/women”. It is important to be honest with your prospects. Don’t get in the habit of taking on projects that are not a fit for your business, you will waste time and money. Saying “no” to things that are not for your organization allows you to focus more on those that are a fit for your business. When you say no to a prospect they will respect you more because you were upfront with them unlike the stigma that they may have had about what a sales person is like. Finding out why a prospect asks you certain questions will help you learn if something is critical or not. Learn why it’s important to be able to tell your prospects no!